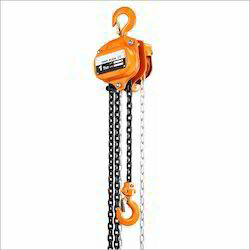 Chain pulley blocks with bare block + size of chain as per requirement can be procured from us. We also have spares of CPB in stock . We have these in 1, 3 & 5Ton in single & double fall. We are a leading supplier of Chain Pulley Block made in line with international quality standards by ISO certified companies. Built in ideal raw materials for heavy duty and perpetual performance, industry safety standards are comfortably meted out. Sealed ball bearings are used to enhance efficacy of the operation. 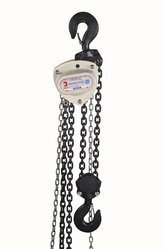 Chain Pulley Blocks - can be installed anywhere with good quality chain. We are praised in the market to be one of the leading providers of this B.M.H.